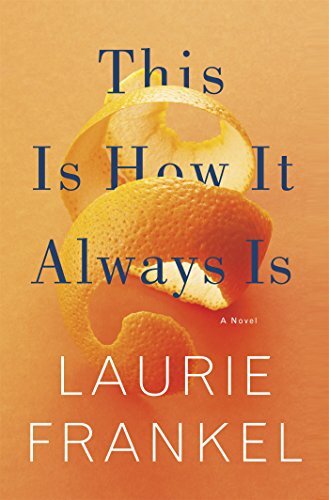 Earlier this year, the Modern Mrs Darcy Book Club chatted with Laurie Frankel, author of This Is How It Always Is, (still one of the best books I’ve read this year). 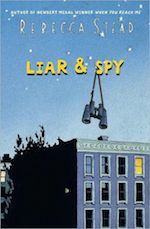 Frankel’s book revolves around an offbeat family that I immediately fell in love with—they’re a little quirky, but not exceptionally so. They’ve made different choices than their neighbors, because that’s what works for them. Their personalities are a little eccentric, and I loved them for it. In this list I’ve gathered 15 of my favorite books that get it right (although I can totally see you begging to differ on a title or two). Give it a look, peruse at your leisure, add to your TBR, and load up mine with YOUR favorite titles in comments. What titles do you love (or maybe hate)? What would YOU add to the list? 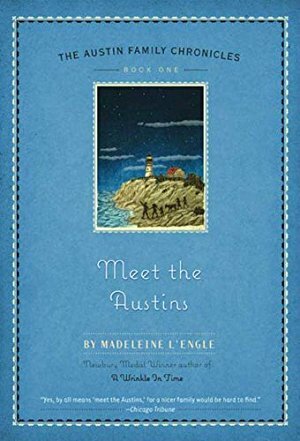 I was hoping that you would include a L’Engle book with the Austin family! A Ring of Endless light is my favorite with the Austins. You also can’t beat the March family in Little Women! The Weird Sisters as well. So delightful, especially with the collective narrator in mind. 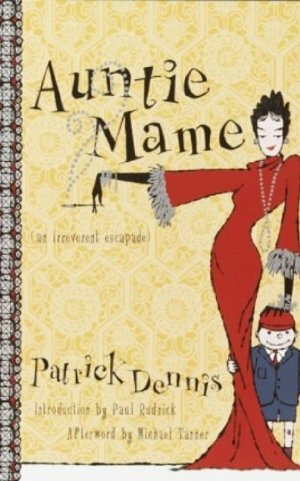 My favorite books about quirky families are, “Where’d you go Bernadette” by Maria Semple” and “The Spellman Files” series by Lisa Lutz. Love both of those. 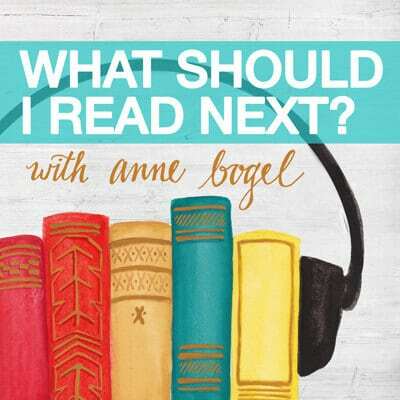 The audiobook of Bernadette is especially wonderful. For some reason when I read this headline, the first book that I thought of was Tell Me Three Things, and then I thought of Where’d You Go, Bernadette?. Oh, you missed Surviving the Applewhites by Stephanie Tolan. So good! I would add My Family and Other Beasts by Gerald Durrell. Hilarious! They have turned it into a great series on PBS, too! This must be the inspiration for the Masterpiece series on PBS. Yes! There’s also a movie made in 2005 starring Imelda Staunton (from HP among many other things) that was great. The books are the best though! Saffy’s Angel by Hilary McKay is the first in a series of children’s books about an eccentric family that is also quite loveable. I was going to mention this series, too! I enjoyed it as much as my children did. I think all of Sarah Addison Allen’s books would qualify for endearing and quirky families. It’s one of the reasons I love her all her books. Yes to Greenglas house and A Room with a View! We also love The Seven Silly Eaters by Mary Ann Hoberman. Oh I am so glad you put the Austins down. Love Meet the Austins and have you also read The 24 Days Before Christmas about them? It was darling. 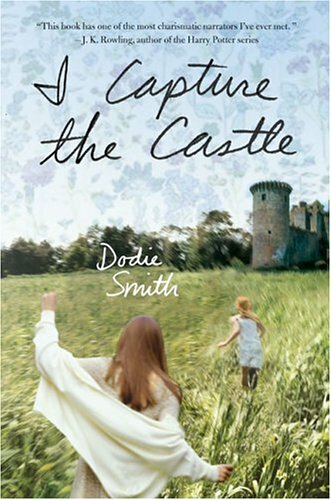 I have never read I Capture the Castle but love The 101 Dalmatians that Dodie Smith wrote as well. Thanks for a fun list! I would include the Flyte family from Brideshead Revisited. They are pretty darn quirky, though perhaps some would say that they are only endearing as individuals and not as a family unit. The Father Tim books by Jan Karon give me the same “home” feeling as the L’Engle Austin books do. I’m currently reading those. So comforting. Exactly. I re-read these books for comfort, most notably during the days running up to my wedding when I was SO STRESSED OUT! 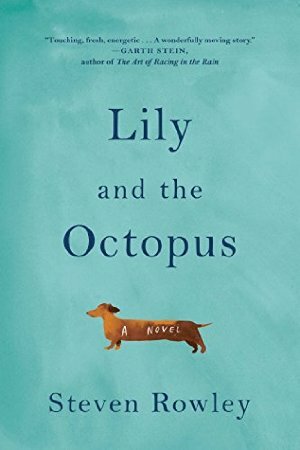 I couldn’t handle Lily and the Octopus. What about The Storied Life of A.J. Fikry? The Girl Who Saved the King of Sweden falls into this category too, I think. My kids LOVED the Casson Family series by Hilary McKay who’s characters are named after paint colors. 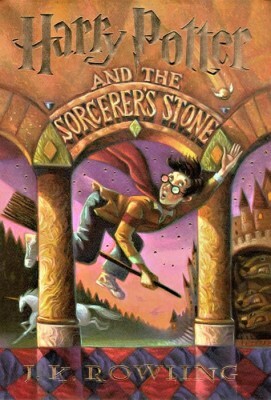 We read this series years ago and they still talk about it today and they’re teenagers now! The first book in the series is Saffy’s Angel. Someone else mentioned the Father Tim series by Jan Karon and those characters are so quirky! 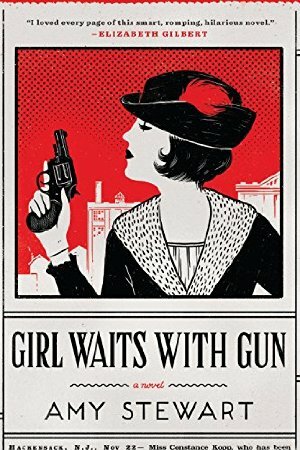 Oh and I have to add Between Georgia and A Grown Up Kind of Pretty by Joshilyn Jackson. 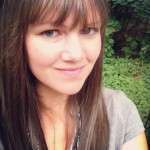 Really anything by Joshilyn Jackson. I like the list! For quirkiness at it’s lovable and inspiring best, I would add At Home in Mitford by Jan Karon. Not only are the main characters quirky, but so is everyone in town. My all-time favorite family (besides the Bennets) are the Durrells from My Family and Other Animals. They are hilarious in their various roles and the humor is pitch-perfect. It’s actually a memoir, but written so well that it reads like fiction. It’s so funny that I have wondered if all of the stories actually happened or were embellished. Now that I think about it, all of my favorite HP scenes involve the Weasley’s and the Burrow. They are the ideal, warmhearted, eccentric family you can’t help but love. And Meet the Austins–oh, flashback to childhood. Good call. What a terrific list! I LOVE quirky families. And I *loved* This Is How It Always Is. Anything by Eleanor Estes, especially The Moffats and all that follow in that series. **So if you like reading kid lit and books about families you wish you could be in, these are GREAT. And it seems like Anne Tyler and Elizabeth Berg have written a lot of quirky family books. Oh! The Penderwicks are too wonderful. My daughter and I love that series. YES! The Penderwicks are most definitely a “quirky and and endearing” family. The whole series by Jane Birdsall is wonderful. Be Frank With Me is one of the most endearing books I’ve read in a long time, I loved it. Can I add Cheaper by the Dozen and Bells on their Toes? They are my very favorite (and real) literary family! 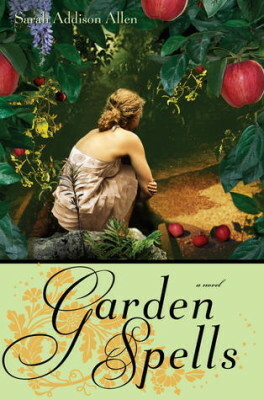 Also, thank you for the recommendation of Garden Spells, I loved it -so fun! I second this! I loved those stories. Terrific list! My personal “quirky family” book list would include any of Anne Tyler’s books. I love the family in One Plus One by JoJo Moyes and for some reason that book always reminds me a bit of the movie Little Miss Sunshine. Of course, I think Pride and Prejudice would fit on this list too 😉 The family in Elin Hildebrand’s Winter series is definitely a bit quirky too. I love this list – This is How it Always Is was SOOO amazing particularly because of the family and the marriage in it. I loved that. I have to say that anything by Melina Marchetta. she gets you to fall in love with families of all kids, whether you are born into them or adopt them as your own. I’d include Empire Falls on this list! Which movie version of A Room with a View? There’s a 2004 and a 2015. 2004!!! Just my opinion, of course. 🙂 But Helena Bonham Carter and Maggie Smith are amazing in it – and Julian Sands is ridiculously handsome. Also, the scene in the poppy field is one of the best scenes ever. Check that date — the version w/ HBC and MS is from 1985. And yes, it is gorgeous! Oops! You are so right. 1985! What about the Flavia de Luce series of books by Alan Bradley? Those de Luces seem pretty quirky to me, but I love them for it! The Penderwicks are always a favorite quirky family of mine. I loved growing up in a quirky family! This is Where I Leave You by Tropper reminded me of how fun being unnormal can be. What about where’d you go Bernadette? Doesn’t get much wackier than that except for family thing of course. My kids and I loved listening to all the Melendy family books by Elizabeth Enright; The Saturdays and The Four-Story Mistake are my favorites. I love the different personalities of the kids, their independence, sense of adventure, and how they can turn ordinary things into something beautiful and extraordinary. I did not know these books when I was a kid, but I know I would have loved them! I think I actually enjoyed them more than my kids did! Yes! The Melendys are awesome! I was lucky to have a babysitter when I was around 6 years old who gave me her copies of 3 of the 4 books. I was thrilled to find the other in the school library in 7th grade and then in a bookstore when I was in high school. The 3 used books are finally worn out after my repeated readings and several readings of them to my older child, so I just bought new copies for my younger child, who is starting to enjoy hearing chapter books, and I’m looking forward to reading them all again! What a fun list! I’ve added several to my shopping bag. Not a family in the most traditional sense, but I love the family that evolves in Counting by 7s by Holly Goldberg Sloan. What a fun list! I also thought of the hapless Grey family in Greengage Summer which I just read recently. I’d add the Storied Life of AJ Fikry. I love that characters so much. “Man At the Helm” by Nina Stibbe. Quirky doesn’t cover this family. Though the book is good (not great) the ending is the most satisfying I can recall reading in years. My very favourite book: Beginner’s luck (and the rest of the quartet) by Laura Pedersen. Hallie, second eldest of eight kids, leaves home and is taken in by the eccentric Olivia, her son Bernard and his partner/husband Gil. Bernard made me want to learn to cook too! said endearing and quirky, I immediately thought of Cheaper by the Dozen. Cheaper by the Dozen is one of my favorites! 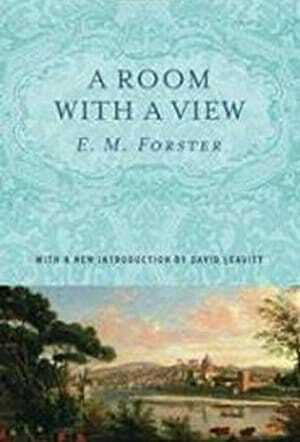 A ROOM WITH A VIEW, I have loved this book since my teens. George and his “?” perspective truly shaped my own eccentric habits. Thanks for including this treasure! Do memoirs count? I love Mary Karr’s The Liar’s Club. Granted, her family is sometimes as terrifying as it is endearing, but still. Also Haven Kimmel’s stuff (A Girl Named Zippy, She Got Up Off the Couch). And The Tender Bar. I’ve read almost half these books; the ones I haven’t read seem very interesting too. 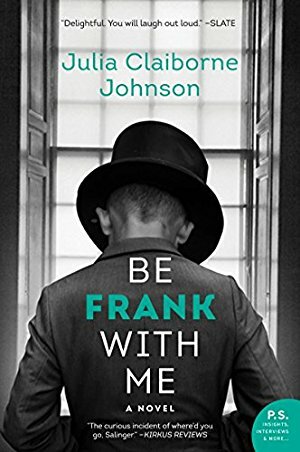 Particularly, Be Frank with me – somehow reminds me of my quirky 8 yr old son. A Man Called Ove and This is Where I Leave You. 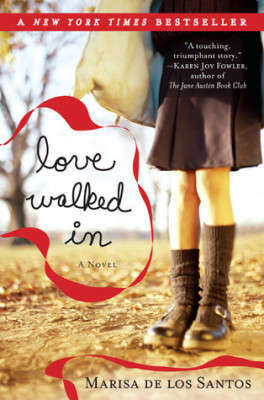 I think Anne Tyler is one of the best contemporary authors with a focus on quirky families. I love all her books but Dinner at the Homesick Restaurant and the Accidental Tourist are two of my favorites! Yes! She’s a great addition here. Mine too! She seems to have an endless supply of quirky characters dancing around in her head and I love them all! Great list and lots to add to my TBR list. Two all time favourites are The Bean Tree by Barbara Kingsolver and Summer of My Amazing Luck by Miriam Toews. 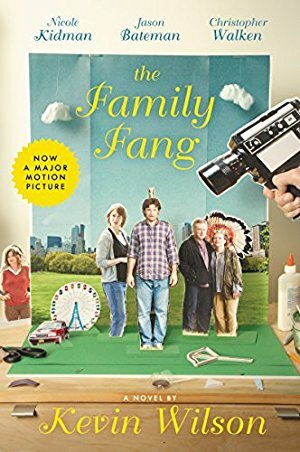 I also have always loved the unconventional family portrayed in Dave Egger’s memoir, “A Heartbreaking Work of Staggering Genius.” The author’s parents die within months if each other from different types of cancer and as a college age student he takes over guardian ship of his young brother Toph. Some warnings of language and people either love or hate this book (I love love love it)! I love the first four titles, especially I Capture the Castle. I’m excited to try the rest! I would add Stuart Little if YA counts 😉 Love that book! I felt the same way about the sisters and uncle in Jacksons’ We Have Always Lived in the Castle. And I agree with the vote for The Storied Life of AJ Fikry. I love the de Luce family in the Flavia de Luce series. Not always the most loving for poor, brilliant Flavia, but definitely on the quirky side. 🙂 Also love the Ryan family in How My Mother Raised 10 Kids on 25 Words or Less! Such a great memoir! I just put many of these on hold or downloaded them from the library today! Thank you! “My Family and Other Animals” by Gerald Durrell is the most recent book I’ve read with a quirky family. 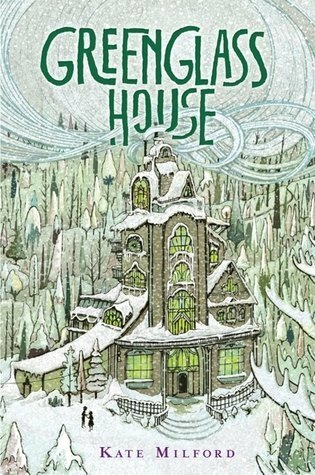 Oh, and I loved “Greenglass House”! Has there ever been a better first line than “I write this sitting in the kitchen sink?” I Capture the Castle. I’ve never thought about it much but I must love endearingly quirky families as well because I loved several of these titles and look forward to reading some of those I’d never heard of! Thank you for sharing this list! Quirky families definitely make a book for me. I’ve had I Capture the Castle on my TBR simply because of that reason. They just give a book so much character! 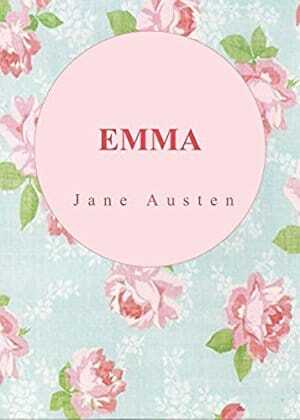 Jane Austen is flawless when it comes to creating those types of dynamics! Oh my gosh. Is there any way you could have someone compile a list of all these books suggested in the comments??? I’d love to be able to just scan a list and see what others recommend in this category! I love Cheaper By the Dozen and Belles On Their Toes (sequel) by Frank & Ernestine Gilbreth; Mama Makes Up Her Mind by Bailey White (hilarious and super quirky); Terms of Endearment and The Evening Star by Larry McMurty; All Over But the Shoutin’ and Ava’s Man by Rick Bragg. The Accidental Tourist is missing from this list. What a quirky but lovable bunch! Great choices! I would add Where’d You Go, Bernadette? and A Prayer for Owen Meaney to the list. In the world of YA Lit, Sharon Creech’s Absolutely Normal Chaos has got to get a mention for whacky families. In upper-el and middle school I inhaled everything Creech wrote. I still return to her stuff for a fast, fun read – like visiting old friends! It’s impossible to think of quirky families without thinking of the Durrell family from Gerald Durrell’s memoirs! The first one is “My Family and Other Animals,” and they’re all set on the Greek island of Corfu in the 1930’s. Absolutely delightful, gorgeous, hilarious, and highly recommended. His books have become my new obsession. BBC just released a Masterpiece Theatre TV series based on the books, and it’s beautiful, but not as heartwarming or funny as the books. That’s exactly the one I was going to recommend, I LOVED their take on it!! It’s fantastic to meet another Durrell lover!!! 🙂 I liked the new TV series, but I think I was caught up comparing it to the old movie with Imelda Staunton as Mother. I saw the movie before I actually read the books, so by that point my mental image of the family was heavily influenced by the tone of that movie (which is fairly light hearted). I definitely plan on visiting Corfu as soon as possible, haha! These are some of my favorite books! I agree about the series- I like it but wonder why they added the financial stresses to the tv program. The book makes it pretty clear that they were carefree, which makes it easier for the mother to take things in stride. I was sad when the trilogy ended- I still laugh out loud when I think about certain scenes! Cheaper by the Dozen by Frank Gilbreth. And the second book: Belles on Their Toes. I recently re-read I Capture the Castle, and I fell in love with it all over again!